Dogwood, or Cornus if you’re feeling posh, can really light up the winter months. Plant it alongside a path and you’ve got yourself a winning wall of colour. 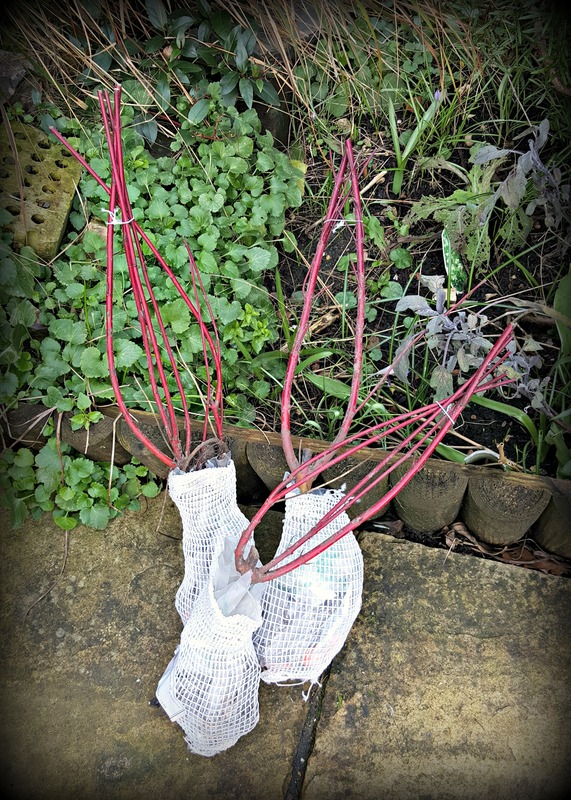 A few days ago I purchased myself two varieties, Cornus alba ‘Sibirica’ and Cornus ‘Midwinter Fire’, three of each. And with a day in the garden, I got to work planting them. At the rear of the garden, we have a sunken ‘secret garden’, and last year everything I planted here was either cream or white. This year I’m introducing more colours and have incorporated some dogwood beside the lawn. I’ve also been growing Rudbeckia Goldblum from seed, and this weekend saw these little beauties potted up and taken to the polytunnel on the allotment. Here, they can stay warm and develop a good root system before being potted up once again and then planted out into their final position. 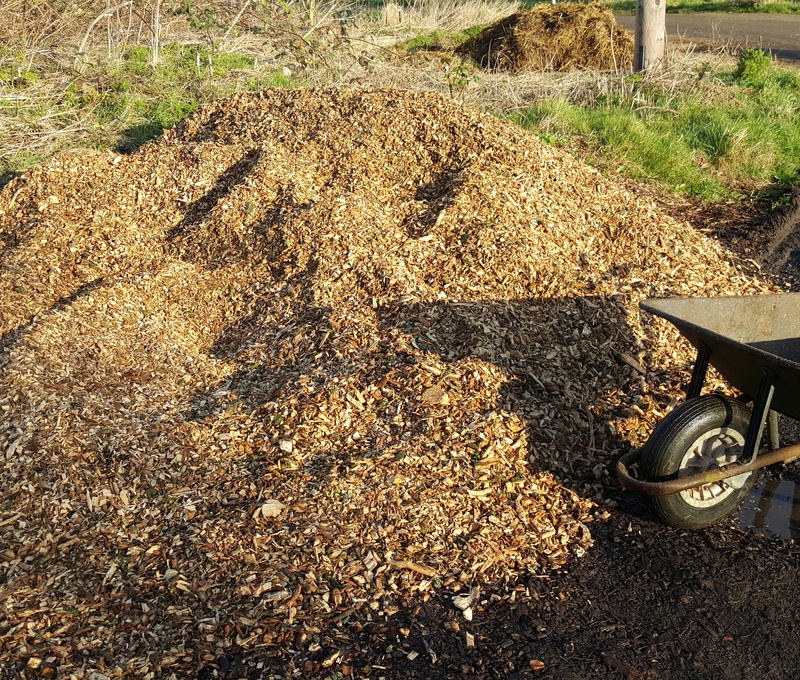 Up at the allotment, it seemed the wood chip fairies had visited again, dumping a load of their finest shavings. So I quickly set about chipping more of my allotment paths. Despite very little veg-growing happening in the plots, the soft spring colours from daffodils, crocuses and primroses still make it a cheerful place to be. If I do say so myself, the fresh air has got me all giddy and lightheaded, the activities of the day has got my blood pumping.. Or is it St Valentine working his magic? 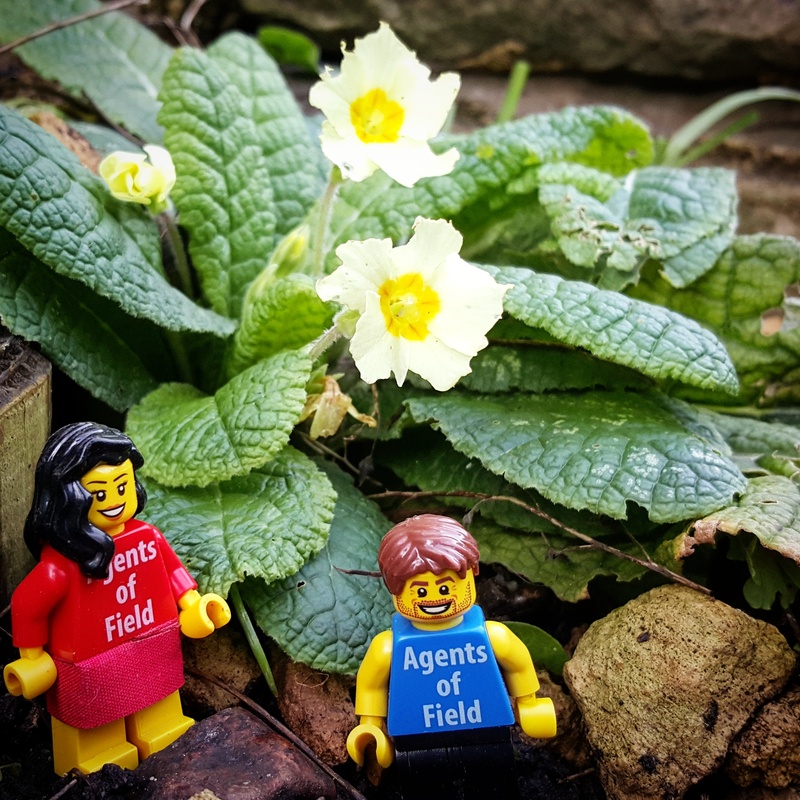 Hmm.. enough gardening for one day, home to Agent Soph methinks for a cosy night in at HQ. I know what you mean Mark, I’m not a fan of the yellow ones either.. Don’t know why?